City and Guilds trained tutor Trease Lane. We are very excited about a new evening class starting in January next year! An evening group running over 30 weeks on a Monday evening 6pm - 9pm. Trease has been teaching City and Guilds for the past 5 years but with the cuts in education through out Wales she has decided to create her own adaptation of a more structured class covering colour theory, simple design techniques, pattern knowledge and much more. She is an enthusiastic and passionate tutor and likes nothing more than passing on her skills and techniques to others, she has taught many day classes at Busy bees in the past, her ultimate love is applique and machine quilting. This will not be a group but a step by step class in all the skills you will need to give you more confidence in simple design, maybe you have made quilts in the past and now feel it's time to take it a step further to grow you skills and knowledge in this amazingly varied and creative craft. 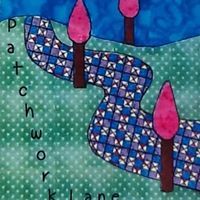 If you are interested in this exciting new class and you would like to be taught all aspects of patchwork and quilting in an informal and relaxed manner with none of the paperwork, then we only have 10 places available so give us a call and book your self into this new and creative way of learning.